N 11° 51' 48" and W -15° 35' 51"
Safety Score: 3,3 of 5.0 based on data from 9 authorites. Meaning please reconsider your need to travel to Guinea-Bissau. Bissau in Bissau Region with it's 388,028 habitants is located in Guinea-Bissau. It's the capital of this country. Current time in Bissau is now 09:21 PM (Monday). The local timezone is named Africa / Bissau with an UTC offset of zero hours. We know of 8 airports close to Bissau. The closest airport in Guinea-Bissau is Osvaldo Vieira International Airport in a distance of 4 mi (or 7 km), North-West. Besides the airports, there are other travel options available (check left side). There is one Unesco world heritage site nearby. The closest heritage site is Kunta Kinteh Island and Related Sites in Gambia at a distance of 100 mi (or 162 km). While being here, you might want to pay a visit to some of the following locations: Quinhamel, Bolama, Buba, Catio and Cacheu. To further explore this place, just scroll down and browse the available info. Let's start with some photos from the area. 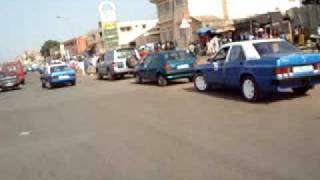 Vídeo gravado nas ruas de Bissau, capital da Guiné-Bissau (Africa) em Abril/09. HISTÓRIA DE UM BAIRRO DE BISSAU. Located at 11.895, -15.6536 (Lat. / Lng. ), about 4 miles away. Located at 11.7222, -15.6444 (Lat. / Lng. ), about 10 miles away. Located at 11.8333, -15.75 (Lat. / Lng. ), about 11 miles away. Located at 11.8435, -15.5908 (Lat. / Lng. ), about 1 miles away. Located at 11.95, -15.65 (Lat. / Lng. ), about 7 miles away. Located at 11.8455, -15.596 (Lat. / Lng. ), about 1 miles away. Located at 11.9, -15.5333 (Lat. / Lng. ), about 5 miles away. Nhacra is a town in the Oio Region of Guinea-Bissau. Located at 11.9667, -15.55 (Lat. / Lng. ), about 8 miles away. Estádio Lino Correia is a multi-use stadium in Bissau, Guinea Bissau. It is currently used mostly for football matches and serves as the stadium of Estrela Negra de Bissau of the Campeonato Nacional da Guiné-Bissau. The stadium holds 12,000 spectators. Located at 11.8602, -15.5864 (Lat. / Lng. ), about 1 miles away. 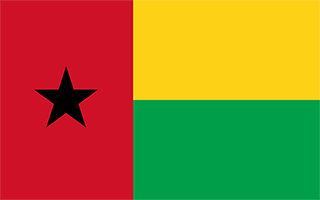 On 12 April 2012, a coup d'état in Guinea-Bissau was staged by elements of the armed forces about two weeks before the second round of a presidential election between Carlos Gomes Júnior and Kumba Ialá. The coup started in the evening with military personnel and equipment making its way onto the streets, followed by the state-owned media taken off-air. Both second-round candidates and the incumbent president were initially arrested by the junta. Located at 11.85, -15.5667 (Lat. / Lng. ), about 2 miles away. These are some bigger and more relevant cities in the wider vivinity of Bissau. These are the most popular locations in Guinea-Bissau on Tripmondo.